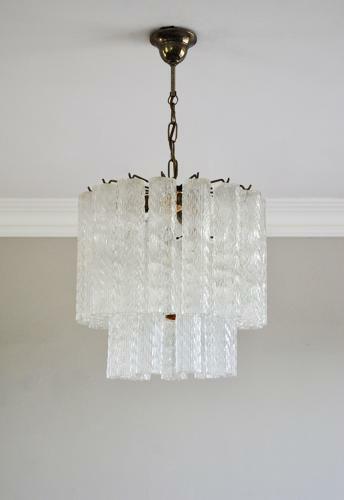 Murano chandelier consisting of 2 tiers of textured tubes of glass (25 in total). The height of the 2 tiers of glass is 36 cm. 4 bulb holders which throw a beautiful shaped light on the ceiling.